UFO hunter Streetcap1 has reported seeing an alien UFO passing through our solar system, between the Earth and Sun. The YouTube UFOlogist provides evidence of an alien spacecraft passing through our solar system near our Sun in a photo of our solar atmosphere snapped by a camera mounted on the Solar and Heliospheric Observatory (SOHO) satellite jointly managed by the European Space Agency (ESA) and NASA. According to the Streetcap1, the alien UFO was photographed by SOHO as it passed in front of the satellite stationed in space. The SOHO satellite, launched in December 2, 1995, provides near-real-time solar data used for space weather predictions. The satellite is stationed near the Earth-Sun L1 point of gravitational balance about 0.99 astronomical units (AU) from the Sun and 0.01 AU from Earth. The alien UFO, as Streetcap1 implies, was captured on camera passing in front of the SOHO satellite parked in space near the Earth-Sun L1 point between the Earth and Sun. This is not the first time Streetcap1, who keeps constant watch on SOHO, has found such objects in SOHO images. According to online Streetcap1, there is evidence of regular alien UFO traffic through our solar system. The shapes that appear regularly in the SOHO images betray a structured pattern indicative of artificial construction, he argues. They are not random blotches or irregular shapes as one would expect if they were incidental or random flaws in the SOHO digital photograph, according to Streetcap1. UFO Sightings Daily editor Scott Waring supports Streetcap1, describing the alleged alien UFO as an “alien cruise ship” passing through the inner solar system somewhere between our Earth and Sun. He marvels at the apparent aerodynamic qualities and symmetry of the alien starship (see image below), emphasizing that the structure of the object proves it is an object of artificial design. Going by the claims of UFO hunters, one is forced to conclude that our solar system straddles a major interstellar highway or a shortcut route for alien starships shuttling across the galaxy. The conclusion is forced by the frequency of reports of appearances of alien starships in NASA SOGO images. 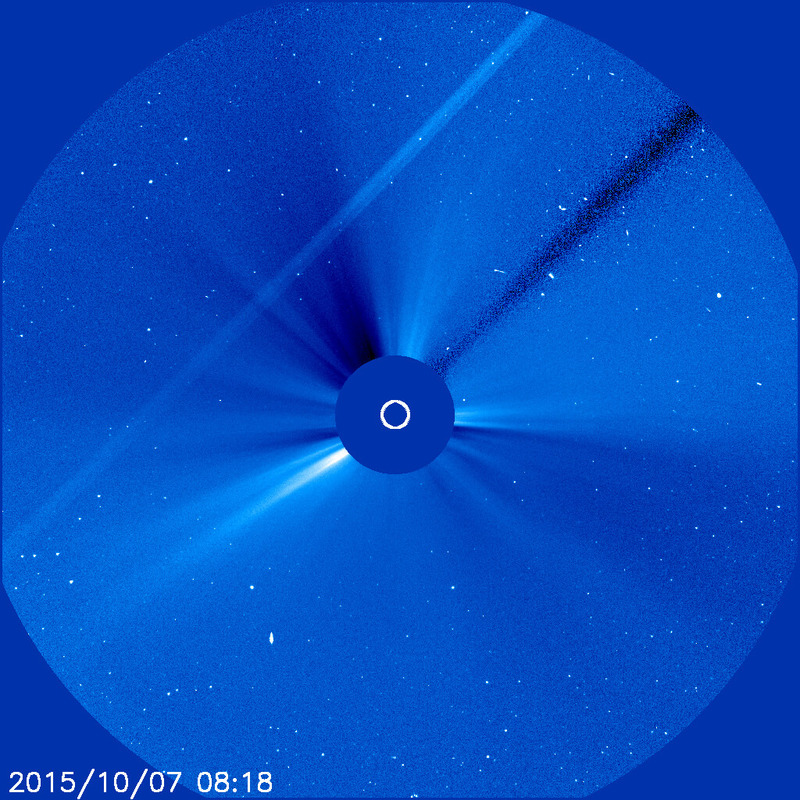 We also reported on Tuesday, November 10, the alleged sighting of three massive mothership UFOs orbiting our Sun in a SOHO image. UFOvni2012, which first reported the sighting, said the images were snapped on November 9 and 10. The alleged sighting generated a buzz in the online UFO community with several enthusiasts insisting that the “symmetrical shape” of the objects in the photo prove they were alien ships and not incidental flaws in the image. 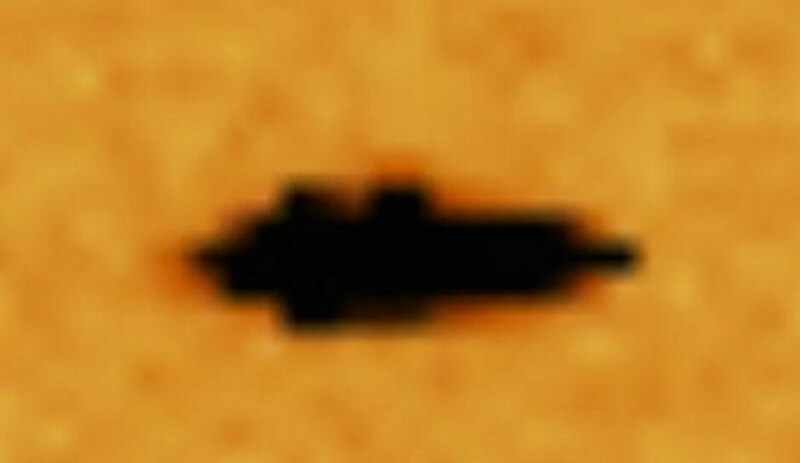 We also reported in July the sighting of a fleet of large alien ships flying in formation past our Sun in a SOHO image. Responding to skeptics who argued that images were merely incidental blotches in the digital image, Streetcap1 insisted that it was unreasonable to ignore their presence in the SOHO images because the objects showed a consistently symmetrical pattern indicative of concrete objects with definite structures. Nikola Tesla Was a time traveler from the Future?